The world has gone online and everyone is either trying to build websites, mobile apps, scale their existing websites or develop mission critical web apps, et al. In short, the web is a huge pie and everybody wants a piece of it, with all industries scrambling to get a piece out of this tempting pie by setting up online presence. In order to build anything web, one needs code and to code, one need programmers. With a surge in demand and a decline in supply, the odds are increasingly getting slimmer for the recruiters trying to hire software wizards. The battle to find expert developers is at its full swing now, with programmers being treated as prodigal children in the current scenario. Hiring ruby on rails developers is tough. It is not only a huge investment but a wrong hire can really spell disaster on your whole plan. When hiring programmers for well-known languages is this difficult, what can be said about Ruby, which is relatively a new programming language? For most entrepreneurs, it might as well be similar to walking on a double-edged sword. 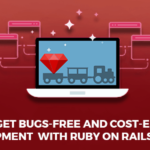 Exaggeration or not, there is no denying the fact that there is a surging demand for Ruby on Rails driven by the need to bring applications and websites faster in the market. 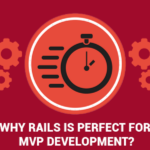 Ruby on Rails is agile and fast and is one of the easiest framework to work with. Lined with so many benefits, most organizations, especially start-ups want to take a bite out of this reality sandwich. Hiring Ruby on Rails programmers is tricky to say the least. Since, the framework is new, filtering resumes based on years of experiences might not make a huge difference. With one of the major criterion, experience out of the picture, it can be difficult to get a good understanding of a programmer’s capabilities in the interview. With surge in demand for the framework, the developers can choose to be picky and if you may be looking for a programmer within a set budget, it may be tough to seal the deal. Hiring a good ruby on rails programmer can be overwhelming. 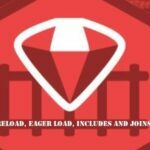 Here are some helpful tips you can consider while head-hunting Ruby on Rails Developers. First and foremost, don’t hire someone who doesn’t know Rails. They may be proficient in other software but if they don’t have much idea about Rails, haven’t self-taught themselves and are only willing to learn it to land a job are not good programmers. Check to see if the programmers can provide a reference for their previous work. Also, look into the portfolio to gauge out a sense of their capabilities. Also, check for sample projects to see the maturity level of the candidate and if the samples consists of a good mix of easy and difficult projects. Check out if they have a blog and if they contribute to Ruby on Rails community. Attend Ruby on Rails related events and work-shops to find out relevant people. Also, remember that it is not always about the compensation. If you can get the programmers to be excited about your ideas, you may be able to hire them. Don’t be stringent. Hiring a sub-par RoR developer may not be a good idea just to save some bucks as it may prove costlier in the long run. You could check out job boards and portals to find a match. But more often than not, with a torrent of resumes, finding a right match may be difficult and time consuming. Last but not the least, consider hiring off-shore developers. You can not only find economic options but there wouldn’t be a dearth of good developers as the service provider would be responsible for the work. 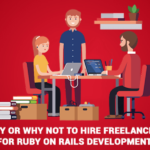 Before choosing the off-shore development Ruby on Rails service provider, check out the years of experience they have and the different kinds of projects they have handled and the hours of development hours they have pushed in for Ruby on Rails. 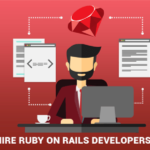 Also, check out the portfolio and testimonials to ensure that you are hiring a good Ruby on Rails Service provider.